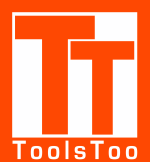 ToolsToo adds more than 85 powerful yet easy-to-use productivity tools to the Microsoft® Office PowerPoint® ribbon. "... you’ll wonder how you ever created slides without it! … a bargain at twice the price." "... one of the best go-to-solutions ..."
Reduces the size of your presentations by removing unused slide masters and layouts. Use this tool before e-mailing a presentation.